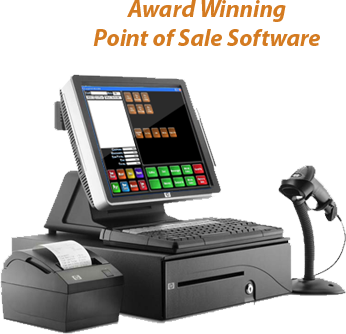 Future POS | Condor Solutions Ltd.
Future POS provides a point of sale solutions for many different retail markets, including grocery, Liquor, convenience, pharmacy and health and natural products stores, which streamline business operations for a seamless front-to-back store automation. Future POS is simple to use because of the fully customizable button interface on the Front End of the software. Reduce ordering time with our fast, simple and customizable multi-column modifiers. Every option for an item can be found in one modifier window. No need to click from screen to screen or search for buttons on different menus. With the swipe of a customer’s driver license, you can find age, name, date of birth and address of your customer as well as the expiration date of the license. An inexpensive and powerful way to monitor what is going on out on the floor. See what’s being rung in- monitor “buddy punching” -watch archived transactions (with text insertion of what was entered!) Just plug in the camera via USB. Protect yourbusiness from fraud and theft by using Future POS’s built in Surveillance Module and ordinary web cameras. Future POS can monitor your business with event-driven video and real time surveillance plus a write a log of all video activity for your records.